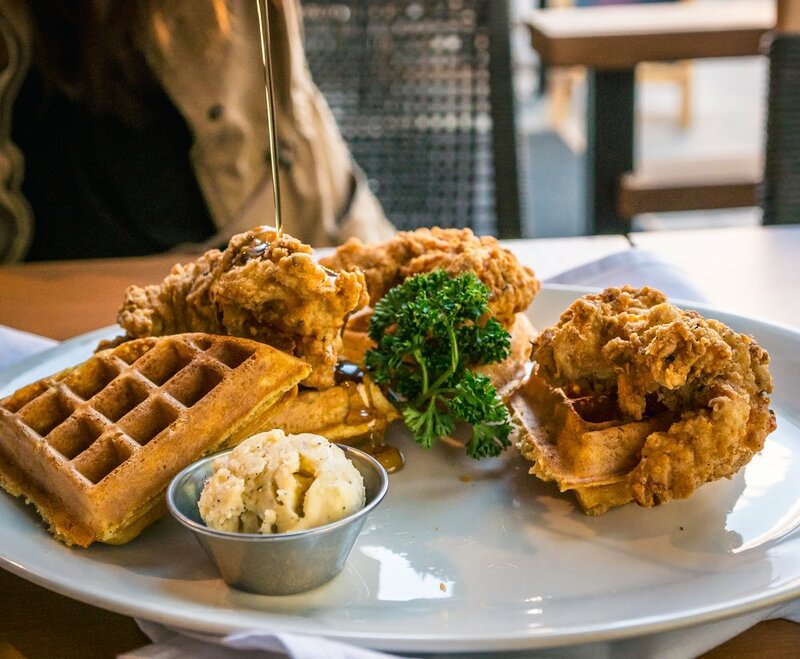 Come celebrate National Waffle Day at Corinne with $10 Chicken & Waffles. Our Chicken & Waffles are made with our house recipe chicken tenders, Belgian waffles, Bee Squared honey butter, maple syrup. Yummmm. *Mention this offer to your server to redeem.